Good light quality can mean different things to different people. But to all people, how we light our world matters. It impacts everything from mood to the ability to do tasks. Superior light quality is not just for high-end commercial real estate and hospitality; it is something that could — and should — be in the home. Take a simple example of kitchen under cabinet lighting. Too many options deliver a subpar experience. LEDs can be glary and reflect annoying point sources across the counter. Halogens, (yes, many kitchens still have these! ), are hot and provide limited illumination on the working surface. Fluorescents spread a wider, more uniform pattern, but may need “warm up” time, contain mercury, and suffer in color quality. 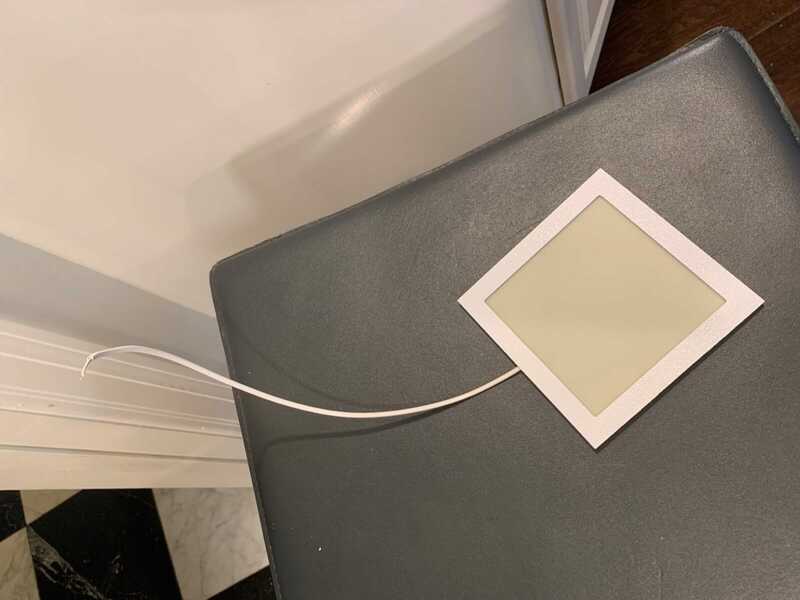 So, when homeowners in New York decided it was time to change the halogen pucks in their kitchen, they opted for an organic light emitting diode (OLED) solution. With a single OLED light panel in place of each halogen, it was goodbye hole, so long glare, arrivederci shadows, and hello, comfortably, bright radiance. As you can see in the images above, there’s an increase in illuminance level directly below the light; from 620 lux to 723 lux. Simultaneously, light splashes more uniformly and with a much wider reach with a naturally diffuse light source like OLED. In addition, OLEDs operate at a much lower temperature than halogens thus dropping the counter surface reading by at least 4°C – no more melting chocolate and stale bread! These ultrathin light panels are tucked away nicely under the cabinet and there is the added benefit of superb color rendering that food looks as fantastic as it tastes. Finally, and most importantly, without the glare, you don’t have to worry as much about nipping that finger with that sharp knife! Bon Appétit! Explore more possibilities with OLED light and have a look on our Solutions page.